Damages caused by water is something that happens a lot at apartments, hotels, restaurants, stores, and any other place actually. Sometimes it happens due to a problem with the sewer system, sometimes it can be due to a leak from the kitchen faucet or the backyard hose, heavy rain pouring down and meeting an inefficient insulation which lets it in, or simply because someone forgot to close the faucet and the sink is full with dishes that don’t allow the water to drain. What damage can the water cause and how can it be fixed? Let's have a look. The main cause for water damage is wetness which can dissolve certain materials, and which can substantially weaken others such as wood and even cement. When not treated fast enough, water damage can lead to mold and bacteria accumulation, which can consequently irreversibly damage clothes, curtains, carpets and such, and can pose quite serious threats to people as well. Can Water Damages Be Fixed? When caught in time, most water damages can be fixed and damaged items or areas restored. Walls can be dried, redone, and repainted; furniture can be fixed; and paint can be peeled off and reapplied. However, when neglected for more lengthy periods of time, water damages can become irreversible, requiring the replacement of damaged areas. This can prove to be quite a costly headache that can be relatively easily avoided. Water damage restoration starts with our professionals devising a comprehensive plan of action: drying and ventilating the affected area, all wooden furniture should be examined and dried thoroughly. Same goes for wooden parts of the house such as window frames, doors and doorposts, closets and such. All fabric-made items have to be dried and aired as well, including: bedsheets, carpets, curtains, clothes, shoes, towels and such. 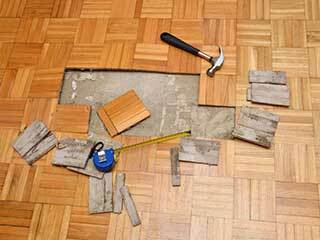 In case the wood has absorbed too much water and the damage is beyond repair, it has to be replaced with new one. Water damage to infrastructure has to be examined by professionals who can determine whether the existing materials can be fixed and retouched or if a more extensive treatment is required. If you're facing a water damage problem, we at Duct & Attic Cleaning Experts Huston will be happy to help! Give us a call and we will send our experts to assess the damage and offer the best solution to your specific problem!